Bloggers all over the world are vying for the short attention spans of their target audience. As a publisher, your priority is to get readers to at least land on your site pages to read your content. To achieve this, you need to learn how to make click-worthy headlines. Why not the “best” or “the most awesome” headlines? To be honest, in the online world, having the most click-worthy headline is the best headline. Clicks serve as your currency in blogging. The more clicks you get, the more chances that you can convert visitors into customers, if not loyal readers. This is particularly the case when it comes to search engines and social media shares. Both are neck and neck as the top channels for referral traffic online. As you compete for eyeballs, you need to make the most out what is shown on search engines and social media with your headline. Coming up with the most compelling headline will get them to click on your page. Just a quick note: what you are not going to learn in this post are Viralnova and Upworthy types of headline that excites the curiosity of readers to get a click and ends up under-delivering on the content side. While this is an efficient business model for all intents and purposes, there are two reasons why you shouldn’t approach writing headlines this way. Your blog is not dependent on ads for income – What you as blogger and freelance writer should be aiming for is a headline that delivers the promise in the content. You are producing evergreen and sustainable content – Click-bait headlines work best on trending topics. Informative content does not have to resort to the kind of tabloid- and gossip-like headlines to receive clicks. Besides, there are excellent guides that discuss headline strategies using the click-bait approach such as this post at Buffer. There are many types of click-worthy headlines that you can utilize for your blog. However, I will distil all the types into five simple yet effective strategies that you can apply to your posts. There is a good reason why Listverse and to a lesser extent Buzzfeed use list post as a headline strategy. What makes list posts effective is how they set reader expectations. For example, in the post “10 Games That Will Make You Nostalgic For The ’90s,” you are only familiar with six of the video games that make you yearn for the good old days. The post then serves to fill you in on the other four that you are not aware of. …would the headline compel you to click on it? For all you know, the post only feature the six games you already know. Thus, you will be just wasting your time clicking on the article. Another example: the post “5 Ways Business Owners are Saving Money in 2016” I wrote at Business.com is meant for owners who find it difficult to pinch pennies for their business in this time and age. It also targets readers who are already aware of two to three ways on how to save money but want to learn the other two ways to save further up. From the examples above, list posts must deliver scalable information to readers. By introducing a set number of tips or advice on the headline of your content, readers will have all the details they need to decide whether to click on the post or not. Make the list as big as possible – The bigger the list, the better! Aim for lists bigger and better than your competitors. If they are publishing lists in the 20+, make yours at least 30+. Settle for odd numbers in your list – A study suggests that odd numbered lists outperform even numbered ones. While this is not a rule of thumb, you should check out for you if this applies to your blog. This is what readers are asking themselves when browsing through headlines from search results and social media feeds. I used this to come up with a nice title for my GetResponse post. When my target readers see the headline, the benefit of boosting their influence online should attract them to click on the link and learn more about the tools. Therefore, when coming up with an effective headline, you need to put yourself in the shoes of your readers. In fact, think of your readers like they are hostile, grumpy old men. I am exaggerating at this point, but you need to understand the importance of stating the benefit of reading your post to your audience. It will serve as the bridge to getting your audience to at least click on your post. Narrow down your target audience for your post– You need to zero in on the type of readers you want to attract. The GetResponse Blog covers topics from marketing, productivity, and automation. For my post on their blog, I focused on online marketers. 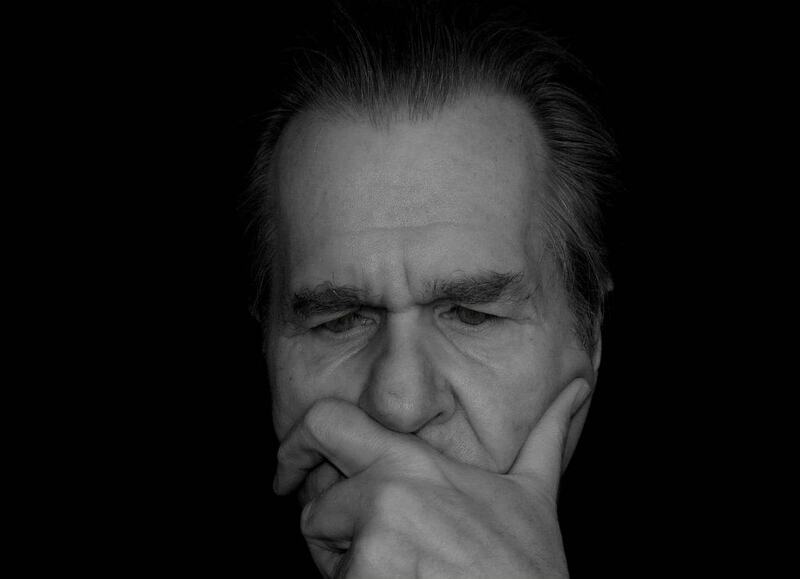 Provide solutions to a specific problem – As a marketer myself, I am aware of how difficult it is to rise above other equally talented marketers. Therefore, the post was meant to help marketers increase their influence through the tools I featured. Always know the different kinds of problems your readers may be going through to make a click-worthy headline that addresses their needs. I won’t indulge in this section of the post because there is an excellent resource that features a comprehensive list of power words that you can use to boost your headlines. If you have not read “Turbo-Charge Your Marketing With These 355+ Power Words” by SumoMe, then it is high time you should. The post contains different words you want to use to invoke a certain response from readers. Having knowledge of these words will help you frame your headline a certain way for maximum effect. Also, a list of 355+ power words is hard to top. This goes back to how much more effective your list post is if you have lots of items to feature in your content. Use power words wisely. If you are tackling a complicated topic for your post, you would want to use power words that denote “simplicity” (stupid-simple, cheat-sheet, tweaks, and more) to encourage more click-through. The choice of power words you should use on your blog post headline depends on the topic, so use your best judgment. Usually found in case studies, posts with exact numbers and statistics in their headlines should attract your readers to want to achieve the same results. Let me start off by saying that 17,584 visitors in a day is an awesome number. 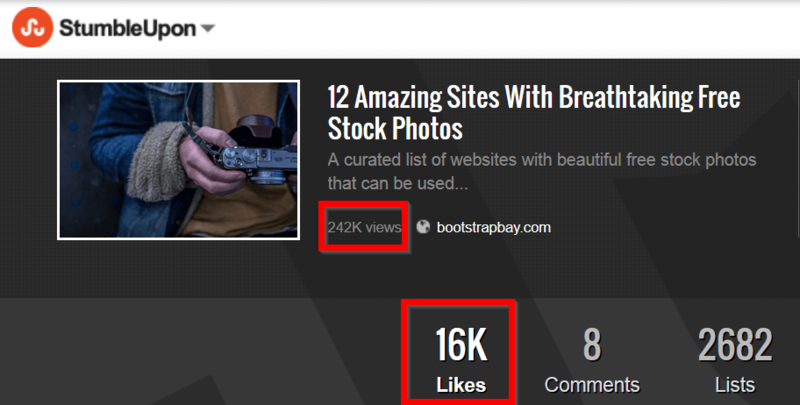 It is a figure that most bloggers would dream of having in a month. Hell, I don’t think I have ever had that much visitors ever. This is exactly why the figure is effective as part of the headline. It makes me want to know how he did it. So I click on the link to find out. Now that I have clicked on the article, I should expect that there is a step-by-step guide on how he did it. The post runs through the entire process of how he achieved that amount of visitors for the website, complete with screenshots of data and analytics. The post shares social proof that attests to the effectiveness of the applied viral marketing techniques. It is the kind of post that bloggers and site owners will read over and over again so they can replicate the process on their own. Some of them will even share the post, link to it on the blog, and mention it in their newsletters. All of this would not have been possible without “17,584 visitors” in the headline. Deliver on your promise – When mentioning figures on your headlines, you can either share the process on how you were able to come up with them or link to the post that mentions the figures. Just make sure to touch upon the statistics in your blog post so readers will not be left hanging. Bigger stats, better – Just like the example above, your headline should feature a huge number that will leave your readers breathless and encourage them to click for the post. Controversial headlines are, well, controversial in and of itself. Neil Patel used the word “douchebag” as his headline and got some flack for it. It did get him a positive response from others, but you may not afford losing readers or subscribers because of a controversial headline. However, when done correctly, controversy can not only skyrocket your traffic but also ignite discussion. Going back to Brian Dean, he is known for developing The Skyscraper Technique, which is the same technique he used for the viral marketing case study featured above. It is a beloved technique because it works, plain and simple. Dale Cudmore is one of the people who was not fully impressed with the technique. It led him to write a gigantic post “Falling From A “Skyscraper”: Why Famous SEO Strategies Won’t Work For You” at Ahrefs which set up a firestorm of comments from supporters of the technique and those who were disillusioned by it. As controversial as the title is, Dale presented strong arguments against the technique backed with data and findings from trying out the technique himself. It is a compelling piece because it is not contrarian for the sake of being one. It was not dismissive of Brain’s accomplishment and went to great lengths to compliment him through the post. If anything, the controversial piece ushers intelligent discussion among marketers on how to use to technique to great effect. By using a controversial angle for your headline to get clicks, make sure that you have covered all your bases and use this opportunity to open up the ground for discussion. How much risk are you taking? No matter how careful you may be with your controversial headline, there is a risk that some of your readers would react negatively. Make sure that you are prepared for the worst and know how to manage it properly. Be respectful – From the post itself to the comment section, always conduct yourself in a professional manner. If you are willing to write a controversial headline and post, make sure that you can roll with the punches as well. 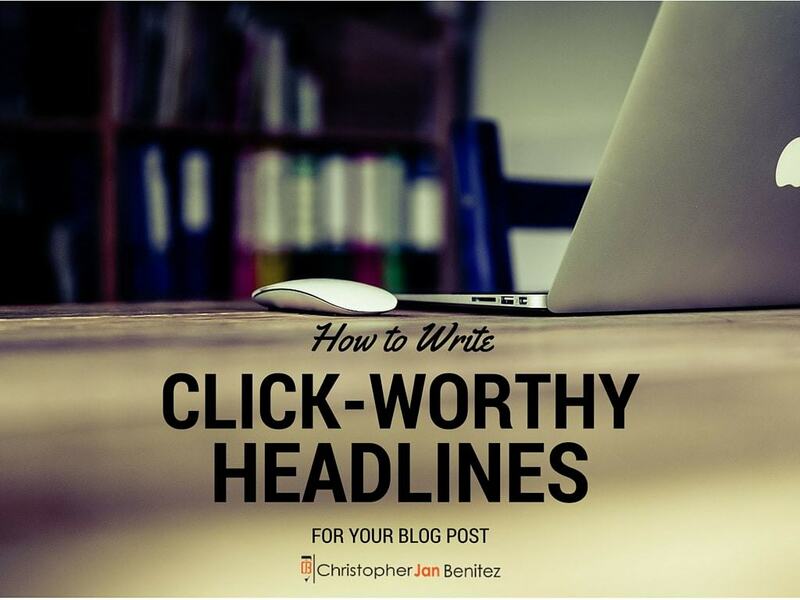 Learning how to make click-worthy headlines is a skill that you need to develop over time. This post has provided you ample information on why and how you should write your headlines. It is important that you apply the strategies shared here so you can drive more click-throughs to your site from search results and social media. Do you know of other effective headline strategies that I missed out in this post? In your experience, what are the most click-worthy headlines for you? What are the difficult parts of writing a headline for you? Share your thoughts and let’s discuss by commenting below!